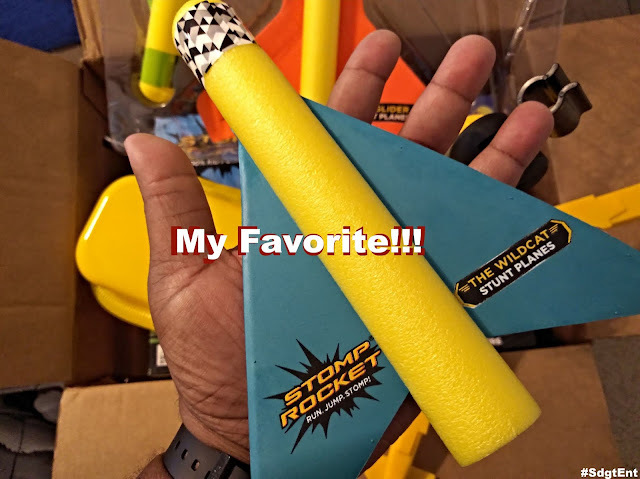 Super Duper Gamer Team Entertainment: Stomp Rocket: 3 Stunt Planes... Reviewed! 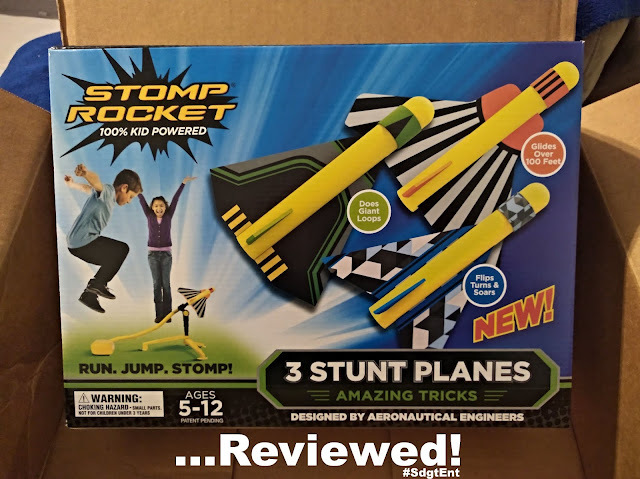 Stomp Rocket: 3 Stunt Planes... Reviewed! This is a major duh, but... this toy actually works. Does it work well? That's the question. By the way, I have a fun idea for owners of Stomp Rocket to try out!!! If you like to get outside and/or have a huge indoor area, this is a nice addition to your toybox! 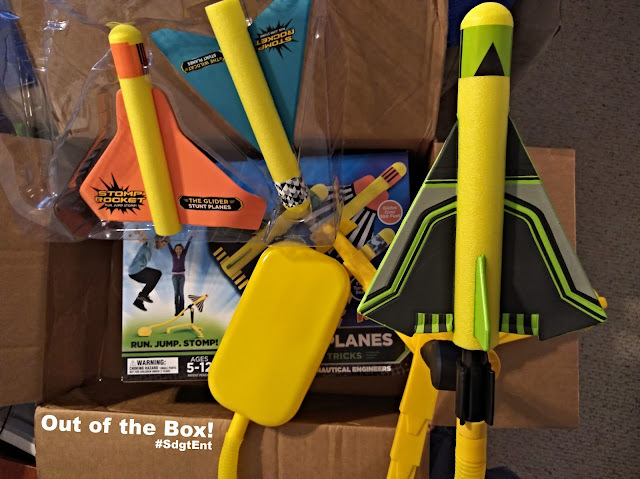 Out of the box you have 3 stunt planes that give you a variety of moves, a launch stand, an air hose, and a launch pad. I personally wouldn't call the launch pad a "launch pad"... because a launch pad is usually the thing that the aircraft launches from. 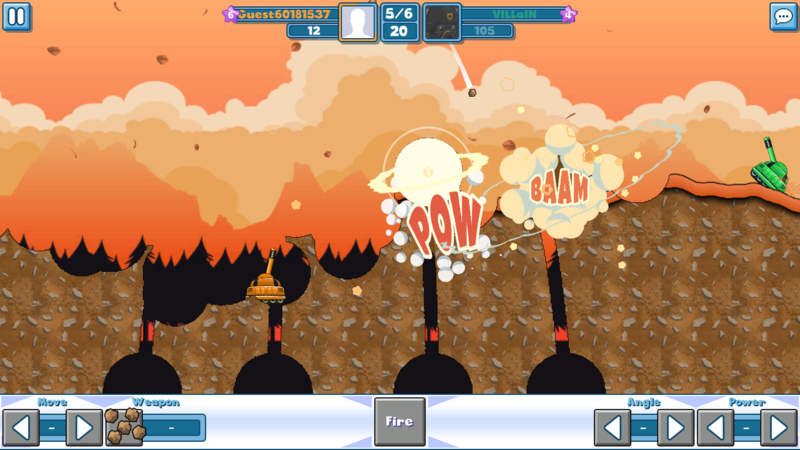 I won't put too much thought into the name, but if it were me i'd name it "the... Launcher". The image you see here is a rocket on the air hose that's on the launch stand that's connected to the launch pad. 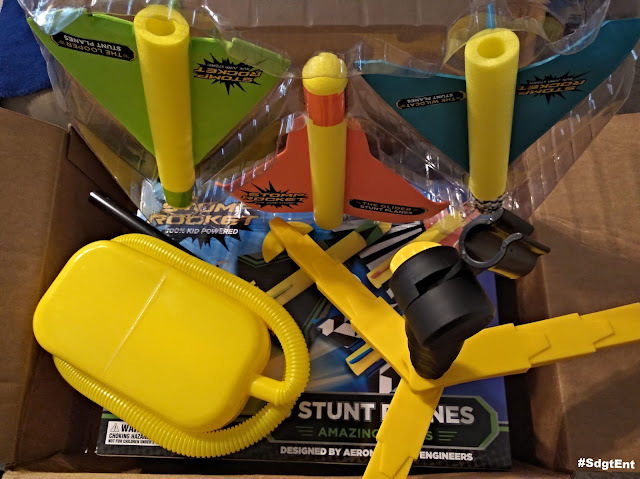 Here's a better view of the items in the Stomp Rocket: 3 Stunt Planes package. The Glider Stunt Plane can glide over 100 feet... no lie. We've been dealing with rain on top of rain... on top of rain recently, so I haven't been able to really get these out as often to play with them but with the iffy weather came some good wind. If you don't have a field, beware (they also warn you in the instructions to avoid rooftops and trees). The Looper Stunt Plane will take you for a loop with big and small loops. Probably my least favorite one, but... it's cool. The Wildcat Stunt Plane is easily my favorite. The glider is very cool (and I'm not hating on the Looper), but when this is in action... it's a lot more unpredictable. The addition of the wind coming from the front, back... or the side of these planes will make them switch up... but this is the "Stunt" plane for me. It flips, turns, and soars. I know the package says ages 5 - 12... but this can honestly be used by adults also, so join your kids for a game of real-life tanks. Remember the game "Tanks" where you and another player... or a CPU take shots at each other from across the field? 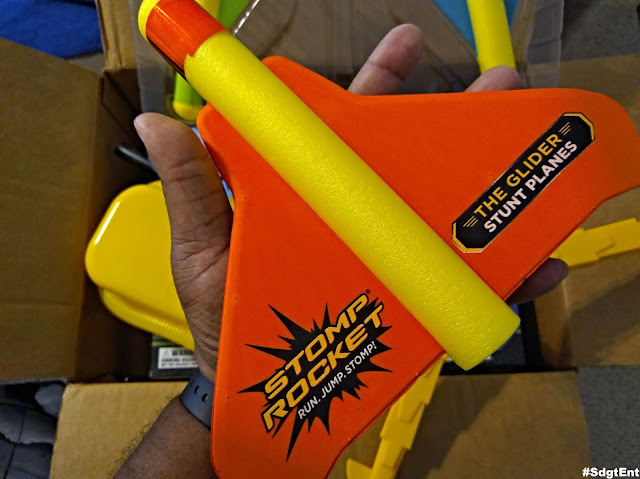 You can take that concept and use it with Stomp Rocket's Glide Plane... just grab some empty water bottles or some blocks and send planes at each other. It would be cool to learn the right trajectories based on the wind or a lack thereof to knock over the other person's bottles or blocks. This product targets the children interested in STEM (and of course parents who want them to partake in STEM). STEM is an acronym for Science, Technology, Engineering, and Math. You can use the product with or without the wind blowing, just to see the various ways these planes react. The rain has been off and on here... but I definitely plan on getting back outside soon. 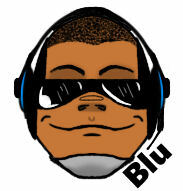 Now when it comes to the quality of the product i'll sum it up in two words... Good Stuff. 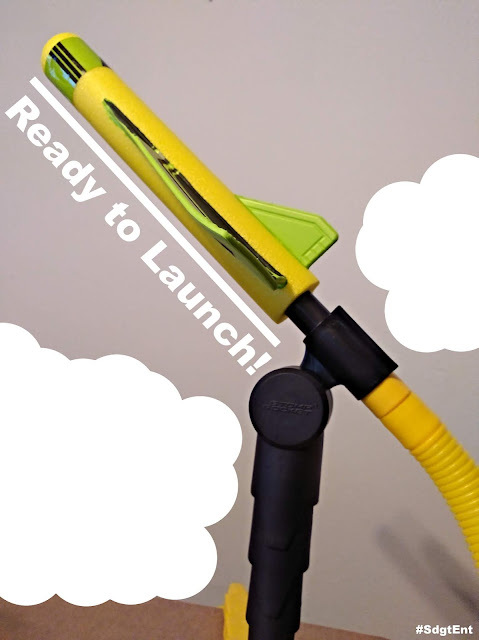 The launch stand is serious quality, its solid and has weight to it (you don't want to get hit by this thing). The stands feet spin out for stability, and the good thing about them not being stuck in one position is the fact that you can adapt to the ground. The planes are nice quality too (maybe not as solid as the stand but)... they can slam into the ground or hit a wall (or even someone's car that I don't know but that's between you and me) and they'll remain in one piece... ready for another flight. The price is $29.99 for the package and... I'm not mad at it. The sweet spot to me would've been $25 but its priced well because the quality is there and it works well. No assembly and no batteries required. I'm just thinking of $25 in terms of being a sweeter price point for impulse purchases, and... if you're a grandparent who has 4 grandkids, that's $100. Overall, this is a quality product that I enjoyed playing with and I'm sure there are plenty of kids who will enjoy it. 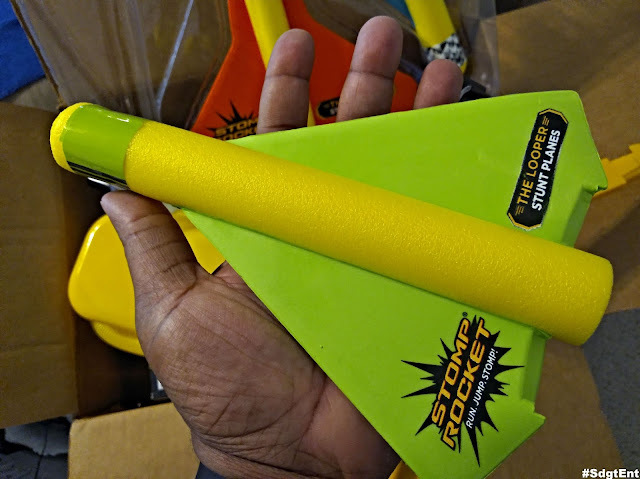 Kids will have to put a bit more oomph into making the planes launch with a similar force to what I produced... but from my experience, Stomp Rocket: 3 Stunt Planes works (well). Brought to you by the... Co-Pilot! PC Gaming Show X E3... Rewind! 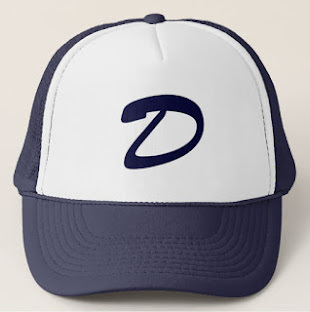 Devolver Digital X E3... Rewind! 1More Spearhead VR Gaming Headphones... Reviewed! Top 20 Cities for Gamers in the USA? !